The suspension of the Russian Olympic Committee (ROC) with controversial and humiliating "chance" for the Russian Olympians to participate in the upcoming 2018 Winter Games in South Korea under a neutral flag has sparked the outrage among the renowned experts and organizations, warning about inevitable drop in worldwide viewership of the Olympics. Austrian National Olympic Committee President Karl Stoss said on Tuesday, commenting on the International Olympic Committee's (IOC) decision on Russia, that it would be unfair to ban clean Russian athletes from the 2018 Winter Olympics in South Korea. "We do appreciate the clear decision for a clean sport and the protection of clean athletes of all nations. We understand, that individual Russian athletes, who fulfill all anti-doping regulations, will be able to participate at the Games. We think, it would be unfair to ban those athletes!“ Stoss said in a statement obtained by Sputnik. Mikhail Fedotov, head of the Russian Presidential Council for Human Rights described on Tuesday the decision of the International Olympic Committee on the participation of Russian athletes in the 2018 Olympics as illogical because if the athletes are clean, they have every right to act under the flag of their country. "I believe that there is no logic in this decision. If the athletes are clean, then they have the full right to act under the flag of their country. Otherwise, athletes of all other countries who have not been caught in doping should also compete under the Olympic flag. The principle of equality of all before the law stipulates it," Fedotov said. 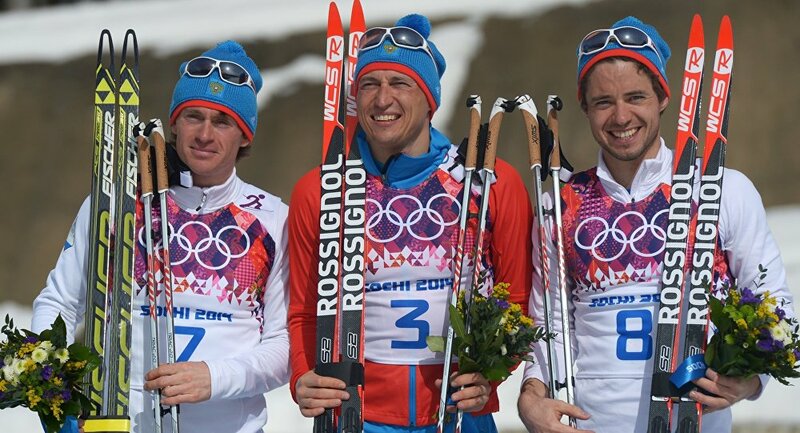 Meantime, the next Olympic Games could see a Russian boycott as well as a drop in worldwide viewership after the International Olympic Committee barred the country's athletes from competing under their national flag, President of SportsEconomics LLC Daniel Rascher told Sputnik on Tuesday. 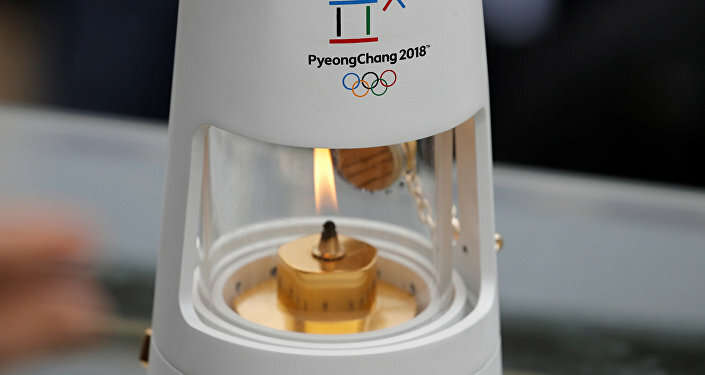 Rascher, an economist and finance expert who frequently testifies in sports-related lawsuits, said the IOC decision could also reverberate into world championships and other tournaments. “Another consequence is that this may strengthen the role of [World Anti-Doping Agency] WADA and the various national doping agencies,” he added. “Or, it might cause WADA’s power to be questioned and some other such mechanism created for enforcing competitive fairness standards." Frants Klintsevich, the first deputy chairman of the Federation Council Committee on Defense and Security, said Tuesday that Russia should boycott the 2018 Winter Olympics if it is not allowed to compete under its national flag.According to Klintsevich, the decision of the IOC on Russia's participation in the next Olympics is a new attempt to isolate Russia. "I do not know what choice Russia will ultimately make, but, in my opinion, the great power should not go 'incognito' to the Olympics," Klintsevich press service quotes the lawmaker as saying. In addtion, deputy Speaker of the lower house of the Russian parliament Igor Lebedev said that Russia must refuse to participate in 2018 Winter Olympics as competing under a neutral flag will be a humiliation for the country. "I believe that such a decision is a humiliation for our country, and it is necessary to take a very serious and balanced decision. In my opinion, the best way out of the current situation will be a complete refusal to participate in the Olympic Games," Lebedev told Sputnik. However, IOC made a positive decision by allowing Russian athletes participate in the 2018 Olympic Games, President of the Russian Olympic Committee Alexander Zhukov said Tuesday. "The decision was positive. The [IOC] executive committee allowed all Russian athletes, individual and members of Russian teams, to participate in the Olympic Games as ‘Russian athletes.’ I think this is the main decision made by the executive committee," Zhukov told reporters. Meanwhile, all Russian athletes have been under total doping control by the World Anti-Doping Agency (WADA) for the past two years, and doping tests show that their victories are not achieved through the use of banned substances, President of the Russian Olympic Committee Alexander Zhukov said Tuesday. "Everyone knows perfectly well that during the past two years all Russian athletes have been under total, multi-level, constant doping control by WADA," Zhukov told reporters following the meeting of the IOC Executive Board. "Moreover, on the eve of the winter season, the Olympic Committee itself launched an initiative for additional testing of Russian athletes through international federations. Many tests prove the 'cleanness' purity of Russian athletes, and the results of the competitions clearly demonstrate that the victories of our athletes have nothing to do with the use of banned substances," Zhukov stressed. It is assumed that the restrictions of the IOC on the flag and anthem of Russia during the performance of Russian athletes at the 2018 Olympics in Pyeongchang will be lifted before the closing day of the Games in South Korea, Zhukov said. "Negative sides — Russian athletes are invited to perform under a neutral flag and without an anthem, although this restriction extends until the last day of the Olympics. It is expected that all restrictions will be lifted before the last day of the Olympics, and then Russian athletes will be able to attend the [closing] ceremony under their flag," Zhukov told journalists. On Tuesday, the IOC Executive Board decided to suspend the Russian Olympic Committee "with immediate effect" but allowed clean individual Russian athletes to participate in the Games under a neutral flag. In 2015, WADA accused Russia of alleged multiple doping violations and suspended the Moscow laboratory of RUSADA, the Russian National Anti-Doping Agency. In 2016, Richard McLaren, head of the WADA investigative team, presented a two-part report, which alleged the existence of a state-supported doping system in Russia. Russian officials have refuted the allegations. In addition, Mikhail Degtyarev, head of the lower house's Committee for Physical Culture and Sport, said Russian athletes would make a decision on participation in the Games during an Olympians meeting on December 12. The 2018 Olympic Winter Games will take place in PyeongChang on February 9-25.